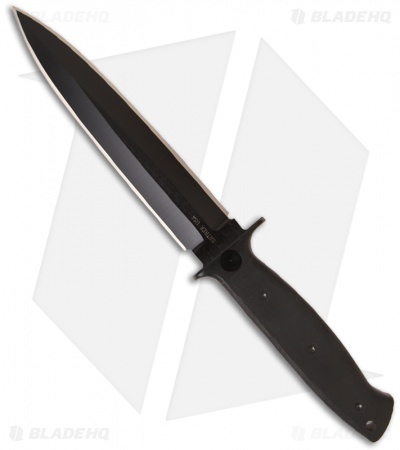 The Entrek Close Combat knife is an exciting and tough tactical fighting knife. It has a double-edged 440C blade with a black finish. The handle features an aluminum guard and black Micarta scales. 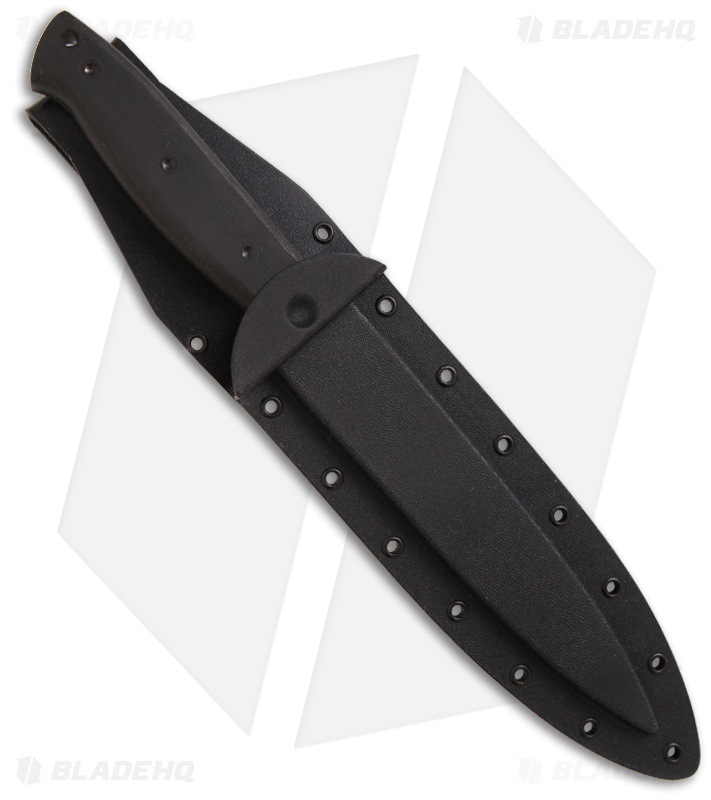 The included Kydex sheath has a wide belt loop.